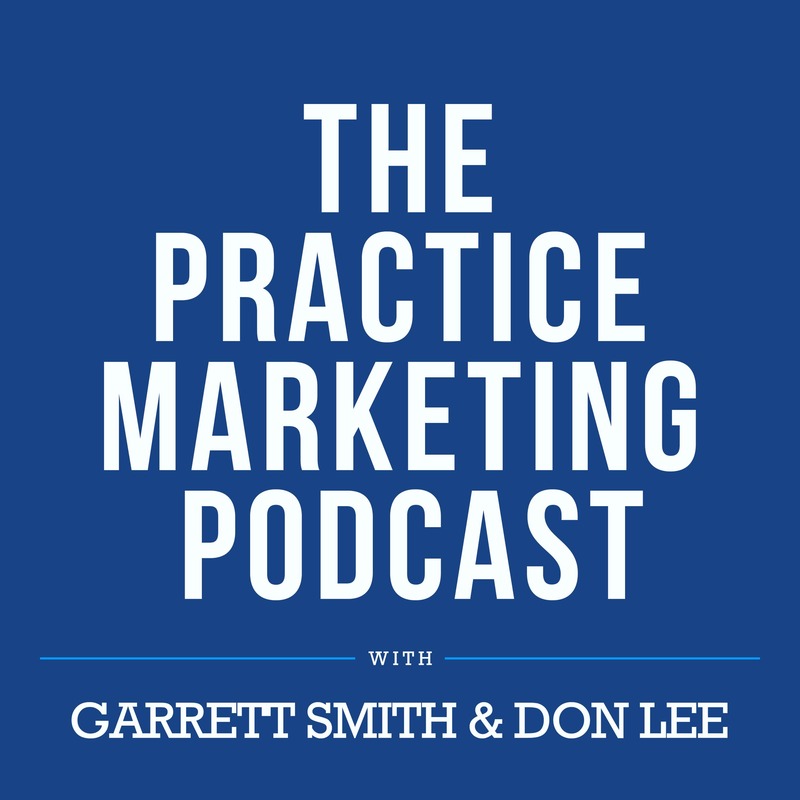 What Social Networks Should Your Practice Use? It should come as no surprise that patients prefer the opinions of their social groups to the advertising and marketing they’re bombarded with daily. That’s why word of mouth is how 92% of people make their purchase decisions. Word of mouth has been around as long as speech; friends could recommend the best blacksmith or the best place to trade vegetables. You know this as a healthcare provider too. Referrals from your patient’s friends and family are likely one of your top sources of new patients for your practice. Only recently, social media has become the new word of mouth, something we speak about frequently with practice managers and providers. With the advent of social media, word of mouth has become, “trackable, attributable, and optimizable.” You now have access to these word of mouth transactions in real-time and the ability to proactively create and participate in them thanks to social media. You can watch real time conversations where friends recommend a favorite business to another friend – maybe even your practice. Even more important than the ability to influence word of mouth, you can use social media to generate awareness for your practice, spread the word about innovative services you offer and engage with patients about medical conditions concerning them. Around 40% of people make social media part of their research when trying to find a healthcare provider. Another third of people make decisions about medicines based on social media. Social networks like Facebook, Twitter and YouTube play a role in approximately one-third of searches for medical information. And for patients 18 to 24? A full 90% turn to social media to find medical information. At least 60% of social media users trust posts by doctors more than other sources. Take that WebMD! Even though social media usage has been characterized as something only the young have embraced, healthcare providers dealing with older patients have no excuse not to use social media as part of their practice marketing mix. While younger generations do adapt to social networks more quickly, senior citizen use of social platforms has tripled in the last six years. In 2010, only 11% of seniors used social media. By 2015, this number had risen to 35%. In the past ten years, the majority of adults have started using one form of social media or another. WANT TO EFFECTIVELY USE SOCIAL MEDIA? What Social Networks Should Your Healthcare Practice Use? Does “being social” mean you must to be on every single social network? Thankfully, the answer is no. 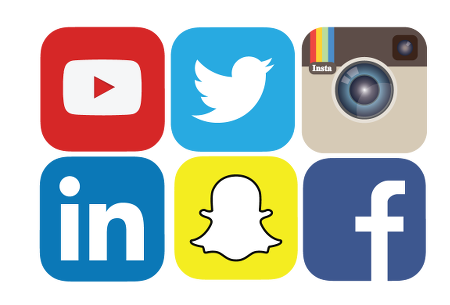 But it is important to understand your options by carefully considering which social networks will best serve your practice. Facebook is the social network for healthcare providers, regardless of their target audience. There’s simply no excuse for ignoring your presence on Facebook. For one, most of your audience will be on Facebook, or at the very least, their parents will be. Nearly 90% of 18 to 29 year olds are on Facebook, with another 73% of 30 to 49 year olds using the social platform. Percentages drop slightly for older generations, but an overwhelming majority are friending and posting and liking right along with the Millennials. Facebook has also taken an increasing interest in local service provider discovery, implementing several enhancements that improves the ability for users to find healthcare providers (and other local businesses) more easily. Further, Facebook offers outstanding demographic and location targeting via their paid advertising solutions, which allows practices to reach potential patients in their area for relatively low costs. Google+ isn’t as widely known or used as some of the other big social platforms, but it does play a large part in your local SEO, so it can’t be ignored. It’s important to list your practice on Google+, since it’s part of the setup for your Google My Business profile, which powers the search engine results for many local healthcare related searches. If you’ve ever done a search for a condition or treatment in Google, you’ve seen the map and list of three practices nearby on the search results page. These highly visible placements and listings are powered by the data found on your Google profile. While many patients may not be hitting your profile and leaving comments like they would on Facebook, they will be seeing your information when entering searching phrases into Google that are closely associated with what you offer. Instagram is one of the fastest growing social networks, thanks to its focus on stylish images and short videos. The whole network depends on images and videos, so any healthcare practice that has a cosmetic or physical element is a perfect fit for participating on the network. We’re looking at you chiros, dentists, derms, orthopods and plastic surgeons! This makes Instagram an ideal network for sharing photos of you and patients, before and after images of a procedure or treatment, or graphics that help explain basic anatomy or medical concepts. Yes, you can do that without grossing everyone out. Twitter is one of the least understood social networks of all times. While not everyone can wrap their head around life in 140 characters, millions have. 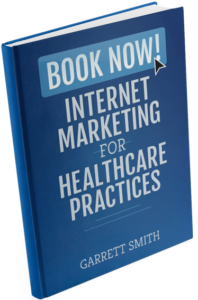 Including your peers – and healthcare industry influencers. This makes Twitter a must-use, if you’re looking to expand your network or raise your profile. It’s also great to use when attending conferences or meeting to connect with other attendees or share the event with your audience. You can also find patients on Twitter, but don’t expect a ton of appointment requests in your DMs. Since Twitter is most often used for consuming real-time news and commenting on one’s fleeting life moments, it’s not the first place patients go to find a medical provider. Twitter does have a techier audience and is one of the few social networks to have more male than female users. The audience tends to be a bit younger, as well, with the majority of users between the ages of 18 and 29. If for some reason you patients are a younger, mostly male audience, that’s tech-savvy, should definitely be on Twitter. YouTube is an important social network that’s not always thought of as one. It’s not only an important social network, but it’s also the second largest search engine. That’s right, the only other website that gets more searches is Google! What really makes YouTube important though, is the rising demand for video content online. Demand is so high that other social networks, such as Facebook and Instagram, have began giving preference to showing videos in their news feeds. This has made video marketing an up and coming form of marketing your practice. And YouTube is the easiest place to do it. With YouTube, you can post short video bios, educational videos on procedures and medications, as well as tell patient success stories. YouTube users can subscribe to your practice’s YouTube channel and even comment on the individual videos, providing opportunity for further engagement. Videos posted on YouTube can also be embedded on your website and shared on social networks with the click of a button, both aiding in communicating the value your practice to provides and documenting your professional expertise. LinkedIn isn’t necessarily known as a place where patients are going to go to online to find doctors however, it’s still important for credibility among other doctors who may be giving referrals. Patients are also spending a lot of their professional social media time on LinkedIn so having a presence here certainly doesn’t hurt and if anything it will add simply aid in the perception that you’re running a reputable practice. Seemingly everyday another social network pops up, especially among the younger generations. Expect this trend to continue for the foreseeable future. One social network to pay particular attention to over the next few years is Snapchat. Snapchat has exploded in the past two years, growing in popularity with younger audiences who love to send disappearing pictures and videos. Few, if any, healthcare provider can claim their successfully using the platform, so don’t think you have to jump right in and start ripping selfies. Try experimenting with new social sites to see what works and what doesn’t. New platforms are often the most valuable to users who get in early. Social media is an inexpensive way to advertise your healthcare practice. Most of the social networks have simple platforms for you to use, and campaign setup is easy if you know what you’re doing (and have a the time). Social media advertising is a good way to target patients based on demographic information like age, location, or interests. It’s also the only way your posts and messages will be seen if you don’t already have a large audience! Be you on social media. After all, in most cases, that’s what patients are buying. Don’t try to be the late night talk show comedian if humor just isn’t your thing. And don’t be a stodgy professor-type if that’s not you. Be willing to share your real self on your social pages, while remaining professional at all times. You’ll come across as more honest and trustworthy if you do, something that every patient values highly in a healthcare provider. A key part in your social strategy is sharing information that will help your patients. Avoid sharing or writing content that is intended for your peers instead of patients. Lose the complex medical jargon and keep it on a junior high reading level that’s accessible to a broad audience. While there is a place for sharing funny memes and jokes, make sure the bulk of your content is educational and provides value for your audience. Even sharing local news and personal interest stories can provide variety, but still be educational. One reason social media is so popular is because it gives the average person a voice where they didn’t have a voice before. Patients using social networks expect to see you and hear your voice; as awkward or weird as that may make you feel. You really are the star! If you don’t have time to personally reply to messages, delegate to someone in your office or marketing solution, such as InboundMD. Images and videos should play a big part in your social strategy, since image-based social networks such as Instagram are growing in popularity, while Facebook has altered their algorithm to feature videos more prominently in their news feed. This means having more visual content will ensure your messages are more likely to seen, read and remembered by patients on social networks. A big part of what makes for a successful social media campaign. Potential ideas for images include anything from a selfie of you in the office to an infographic or a picture of you a happy patient. Remember, you don’t have to be a professional photographer or an actress – you can do all of this from your iPhone. Patients are simply trying to get to know you. Give them an inside look at your daily routine. One of the potential downsides of social media is that your patients have a place to publicly lambast your practice. It’s important to watch for these instances by using a tool like InboundMD, to notify you when someone mentions your practice online. It’s also important to respond, if a patient does leave a negative comment or review. While your first reaction may be to get defensive or upset, it’s best to let your patients to be heard. Try to put yourself in their shoes and let them know you’ve heard them. Then, ask them to move the conversation to a less public forum, like a private phone call or an email thread. Social media is a great place to show your interest in your local community as well. It shows that you’re a proud member of the community and supporter of others in the area. Sharing news about your local sports teams or interesting articles about your region, is a great way to connect with (or even flatter) your patients and build goodwill. Patients will also benefit from educational articles from industry publications and peers you trust that are shared on your profile. Remember, a curating content is equally important as creating it. Many healthcare providers wonder about implications HIPAA has on social media. In a day and age where one false step, social media included, could land malpractice lawsuits on your desk, it’s important to remind you that social media IS happening in a public forum. Before you post on social media, consider, would discussing this over coffee with a friend or colleague be a HIPAA violation? If so, then social media isn’t the place to publicize it either. Overall, make sure to avoid discussing or posting the Protected Health Information (PHI) of a patient anywhere online. Keep it out of your posts and even be careful if you’re messaging a patient on a social platform unless you’re sure the platform is secure and the information won’t land in the wrong hands. If for some reason you plan to use a patient’s information, likeness, name, or story in any content you publish online, make sure you get their permission through a written patient consent form. Healthcare providers can’t ignore social media. At least, if they want to keep-up with the changing ways in which patients find, evaluate and decide which provider to use. Sixty percent of doctors say that medical professionals who use social media actually improve patient care with it. Healthcare professionals can use social platforms as effective tools educating patients and engaging them in conversation. It’s the new – and improved – word of mouth marketing.